SEO was declared dead first when Panda hit the scene and then again when the Penguin update was unveiled. These were algorithm changes that altered the way that Google ranked and organized the content it found. These updates penalized and de-indexed a large number of websites and actually cost many companies thousands of dollars – even destroying their businesses in many cases. All the techniques that had once reliably worked to help a website climb the ranks – posting links on link directories and writing articles with tons of content – was suddenly getting sites banned. 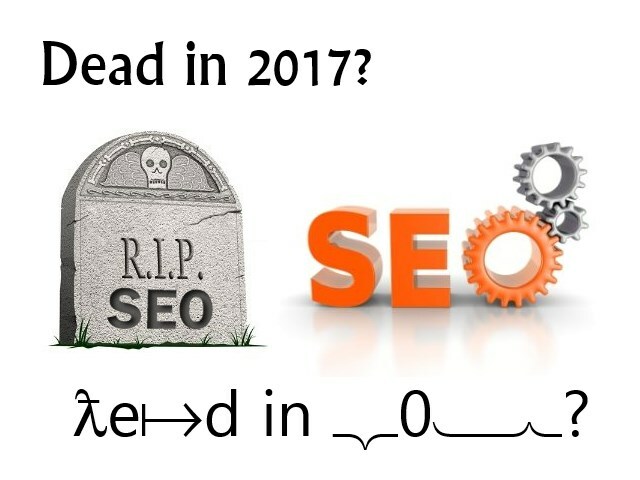 SEO was declared dead at this point by many a naysayer, not only because the old strategies no longer worked but because Google made it clear that it didn’t want to see people trying to manipulate the variables and game the system. Every time someone finds a way to ‘beat’ Google and get to the top, chances are that Google is going to adapt and punish them. 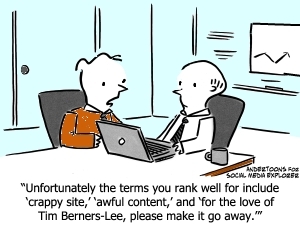 But surely that’s entirely what SEO is about? Of course people adapted and created new methods to cope with this. For a long time, this meant relying almost purely on ‘guest posts’, which are posts that a creator lands on another website with links embedded. Site owners get free content and the content creators get a link back to their site – everyone wins. This way, creators were demonstrating that they were partnering with the best brands on the web and that they could be taken seriously as a result. But even guest posting can get you into trouble. Matt Cutts, who works at Google, came right out and stated that over-reliance on guest posting would get your site penalized, too. Why? Because it’s transparent that you’ve once again been manipulating the system. If every single one of your posts takes the same format and they’re all on similar blogs… well then it will look as though you’ve ‘done a deal’ with the blog creator. If that means changing your site to a blue colorscheme to decrease bounce rates, then that is SEO.